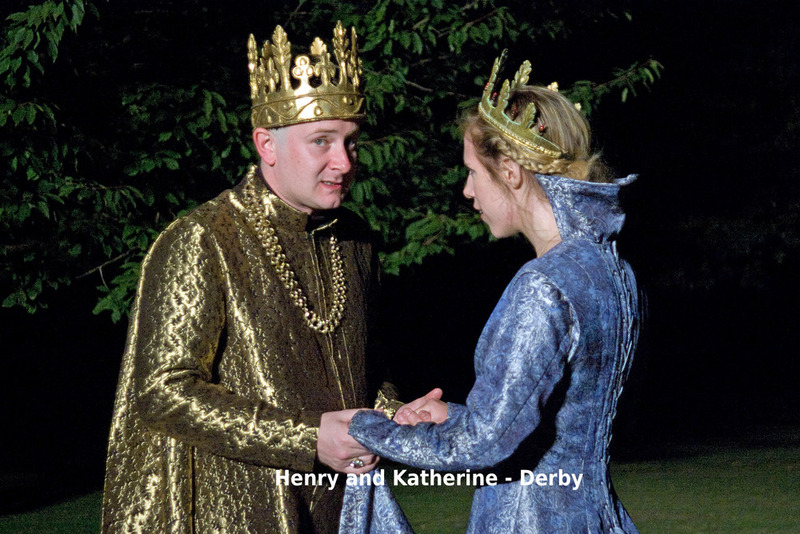 In 2008 the Derby Shakespeare Theatre Company celebrated its glorious centennial year - one hundred years of bringing the works of the world's greatest playwright to the stage! To celebrate this historic event we held a number of special events detailed below. January - a new company website was launched. February 26th - the centenary got well and truly underway with the publication of both 'Brief Chronicles', a book telling the history of the first hundred years of the Derby Shakespeare Theatre Company, and a documentary called 'Derby Shakespeare: 100 Dramatic Years' featuring performance footage and interviews with members past and present. 26th February to 1st March - a production of 'King Lear' at The Guildhall Theatre in Derby. 26th February to 1st March - an exhibition chronicling the history of the company put together by longtime member Pat Laurie. This was on display in the foyer of The Guildhall Theatre to coincide with 'King Lear'. March - an article in Derbyshire Life about the production of 'King Lear'. 8th March - a centenary dinner attended by members and patrons. Guests of honour were the Mayor of Derby, councillor Pauline Latham OBE and David Edwards, former chief executive of the Derby Playhouse Theatre. April - an article in Derbyshire Life about the history of the company. 20th April - the unveiling of a commemorative stained glass window at Shakespeare House. 23d April - a civic reception for the company at Derby Council House, hosted by the Mayor of Derby councillor Pauline Latham OBE. 8th July - champagne centenary AGM at Shakespeare House. August - an outdoor production of 'Henry V' at Derby Grammar school and the Minack Theatre, Porthcurno. 13th December - a centenary revue in-house at Shakespeare House. We hope to be able to bring you more information and photographs from our centenary, including excerpts from 'Brief Chronicles' soon.